It's not always easy to act happy. 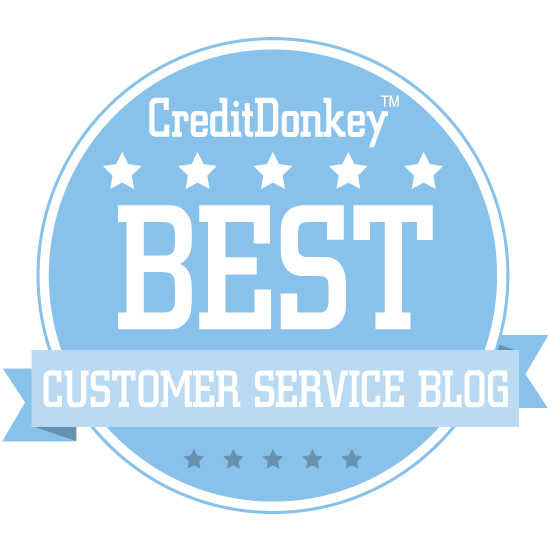 Many frontline customer service jobs have two things in common. First, the pay is low with many starting at minimum wage. Second, they require a high degree of emotional labor. The market for emotional labor may be cheap, but it’s also woefully inefficient. I know it’s hard to make a business case for making your people feel better, but there’s always money to be made in efficiency. Companies love efficiency. This post explores how companies use emotional labor ineffeciently, the high costs associated with this problem, and explores some possible solutions. Think about the emotional labor that’s often required in customer service. Employees are expected to convey positive emotions to customers regardless of whether they actually feel this way. They must even remain calm and professional even when a customer treats them as a verbal punching bag and avoid taking it personally. If you’ve ever worked in customer service, you know this isn’t always easy. A 2004 study published in the Journal of Applied Psychology found that emotional labor is inversely correlated to hourly wages. The higher the level of emotional labor a job requires, the less that job is likely to pay. Examples come from customer service employees as well as other professions such as social workers, bill collectors, and 911 operators. Customer service employees don’t get paid much to act happy. Cheap doesn’t necessarily mean efficient. There are also substantial costs associated with high degrees of emotional labor. These costs may offset or even surpass any savings associated with low wages. Turnover. It costs a lot to hire and train employees, even cheap ones. Absenteeism. Extra employees are required when people call out. Productivity. People get less done when they feel emotionally drained. Customer Satisfaction. Service quality suffers when emotions run high. All of these costs negatively impact profitability. Companies often improve efficiency by finding ways to reduce consumption. This strategy works brilliantly for emotional labor. Happy employees require less effort to project the right customer service personality. Employee engagement is the key to reducing your emotional labor consumption. Engaged employees are overwhelmingly happy in their jobs. They are also highly committed to helping the company achieve its goals. That's the business case. Your executives won't listen to a touchy-feely argument about employee happiness, but you'll capture their attention when you start the conversation with numbers they care about. Efficiency is efficiency. Improving employee engagement isn’t easy, but I’ve assembled a short reading list to help you get started. This post on the using the Employee Engagement Cycle will give you a strategic view of employee engagement. There’s even a short quiz to help you start the conversation. Some customers require an unreasonable amount of emotional labor from your employees. Consider asking them to take their business elsewhere. Seth Godin has a nice and simple explanation. 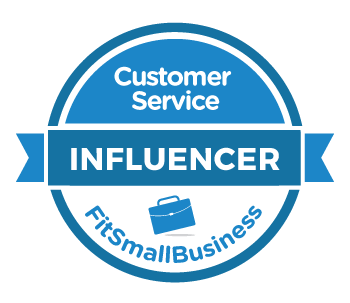 Customer service leaders in low-margin industries like Trader Joe’s and Costco have found it’s more efficient to pay a higher wage so they can attract better employees. This post explores whether you should consider giving your employees a raise. Above all else, customer service leaders must remember that while customer service can be difficult, their job is to make great performance easy. Keep that in mind when you are working with your employees. What can you do to make it easy for them to be happy? I'm not sure why my dentist bothers subscribing to all those magazines in the waiting room. If you show up on time you don't wait. During my many visits in 2007 I always got in right away and got out by the time they said I'd be done. Respecting my time goes a long way in my book. The people that work in the office were always cheerful and helpful. I've been to the dentist where the office manager came across as a used car salesperson, but Jessica, the office manager I dealt with, felt like a trusted advisor. She explained my options and even offered to help me get the best use of my dental insurance. Of course, I was very pleased with Dr. Brumand. He did great work, was very careful, and always explained what he was doing before he did it. I couldn't find a website, but here's their information. During one of my visits, Dr. Brumand asked me "Who provides the best service these days?" Without hesitation, I answered, "In-N-Out". "No, definitely not Nordstrom. For me, In-N-Out is the best." I've always had a good experience at In-N-Out. Sometimes its been great, but its always been good. I've never had a good experience at Nordstrom. I may be unique, but the sales associates I encounter are generally rushed and uninterested. In-N-Out sticks to what they know and delivers a great product without fail. Nordstrom started as a shoe store, but I've never been able to buy a pair of shoes there. I wear a 10 4E shoe, so you'd think Nordstrom would be the perfect place since they carry so many sizes. Unfortunately for me, not the case. On the other hand, In-N-Out always has the size of cheeseburger I want. They'll even custom make one for me if its not part of their typical selection. The people at In-N-Out are friendly. Yes, there's a bit of a script involved, but the people I encounter are always cheerful. That's not been my experience at Nordstrom. Maybe you just need to be an elite customer. In-N-Out seems to like their customers just the same. Fortunately for Dr. Brumand, he had already built up a lot of good service karma with me the day the Novocain didn't quite take as expected. He'd drill for a few minutes and then I'd feel a sharp pain, so he'd stop and give me a little more Novocain. This continued for awhile until he told me he couldn't give me anymore. "You're just going to have to tough it out," he said. Yikes! I'd be pretty angry if this was my first time there, but by then I was willing to give him the benefit of the doubt. Fortunately, he was able to finish without any additional pain. Of course, the kicker is my mouth got VERY numb about 15 minutes after I left his office. I suggest a fact-finding mission to In-N-Out if you want your organization or department to be awesome at customer service. You may even need two or three visits, just because there are so many best practices to absorb. I'd suggest you do the same with my dentist's office, but I don't think they're well-equipped for group outings.